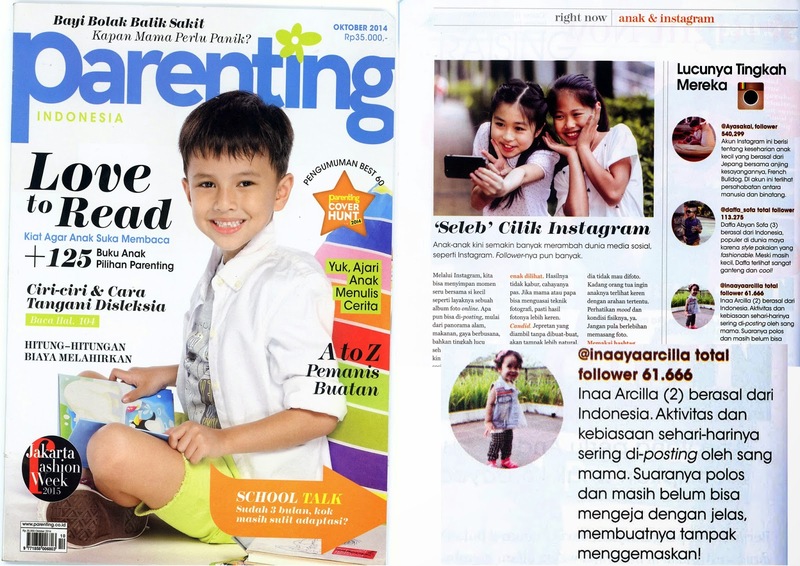 The good news is, belakangan ini disaat saya tidak punya banyak waktu untuk membuatkan cemilan sehat dirumah, saya sudah berhasil mensubtitusi beberapa snack 'nakal' tersebut dengan pilihan snack organik yang dijual di beberapa supermarket yang menyediakan produk import, atau dititip di kerabat yang sedang berada di luar negeri ataupun dengan memesan di toko online Instagram. And it works! Alhamdulilah, karena bentuknya menarik, rasanya juga enak, akhirnya Inaaya sudah mulai jauh-jauh deh dari cemilan super manis dan penuh ingredients tidak jelas itu. 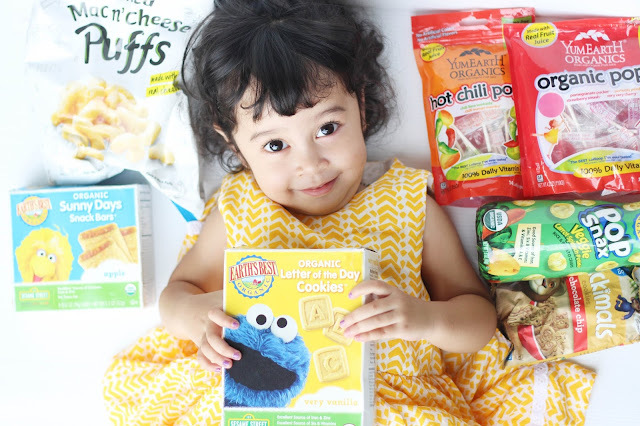 Meskipun saya jauh lebih memilih untuk membuatkan snack sendiri untuk Inaaya dirumah, but here i'll show you some of my favorite on-the-go snack for a busy-mom! 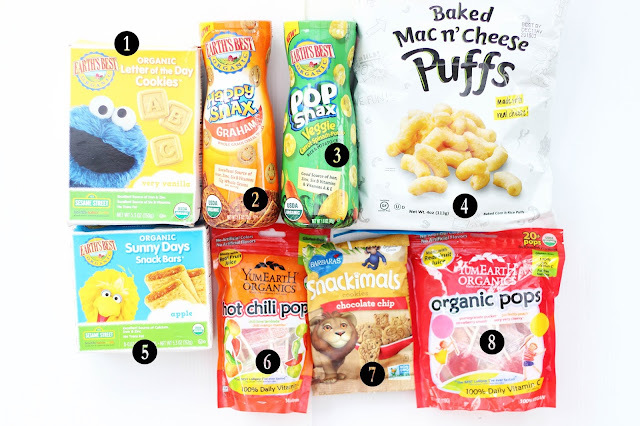 Earth's Best and Sesame Street team up to make these delicious snacks! Sounds exciting, right? These cookies are delicious. I had to try them before giving them to Inaaya and they are the right size for their little hands. The cookies is a great tasting way for kids to learn their ABCs, bursting with vanilla flavor, excellent source of iron, zinc and six B vitamins, and USDA organic: no growth hormones, antibiotics, steroids or potentially harmful pesticides or herbicides, no hydrogenated oils, no trans saturated fats, no artificial flavors, colors, preservatives, also it is really great for on the go! Graham snacks perfect on the go with good source of Vitamins A & E, Zinc and six B Vitamins, no artificial flavors or preservatives, and of course perfect for on-the-go! Veggie snacks perfect on the go with good source of Vitamins A & E, Zinc and six B Vitamins, no artificial flavors or preservatives, and USDA organic. Simplicity at its best! Baked with mild white cheddar cheese and a touch of buttermilk, these creamy baked rice and corn puffs will put a smile on your face! Certified Gluten Free, Made with non-gmo corn & rice, No Trans Fats, Low in Saturated Fat, No MSG, Vegetarian (contains dairy) also made in a facility that does not manufacture any products containing peanuts or tree nuts. Snack bars with a juicy flavor of fresh-picked apples inside a wholesome cereal crust with an excellent source of calcium, iron, zinc and six B vitamins. Made with organic ingredients, no artificial flavors, colors, preservatives. Inaaya definitely hit the jackpot with these apple bars! She absolutely loves them and has one every day for her morning snack! all ages. Letting kids eat their candy and its organic? Hail this pops for making it happen!YumEarth organic candy is a true Certified Organic, real fruit extracts, kosher, and no gluten, tree-nuts, peanuts, GMO's, dairy, soy, or artificial colors/dyes. The same candy as number 6 but with a different flavors. This one is SPICY and SWEET and SOUR and GOURMET and SPECTACULAR.I've read that Kate Hudson, Cynthia Nixon, Joey Lawrence are fans of this candy! Untuk yang mau mencari snack-snack diatas dan bimgung untuk beli dimana, bisa search dibeberapa online shop Instagram yang menjual snack-snack import, salah satu nya ada @mrf_organicfamily, they offer plenty of import snacks that will make your little one happy!